Special Edition Vol. 2 Bundle includes the Special Edition Volume 2 (“Extended Orchestra”) and the corresponding Articulation Expansion, Volume 2 PLUS, at a reduced price, when compared to purchasing them separately. Your purchase of the Special Edition Vol. 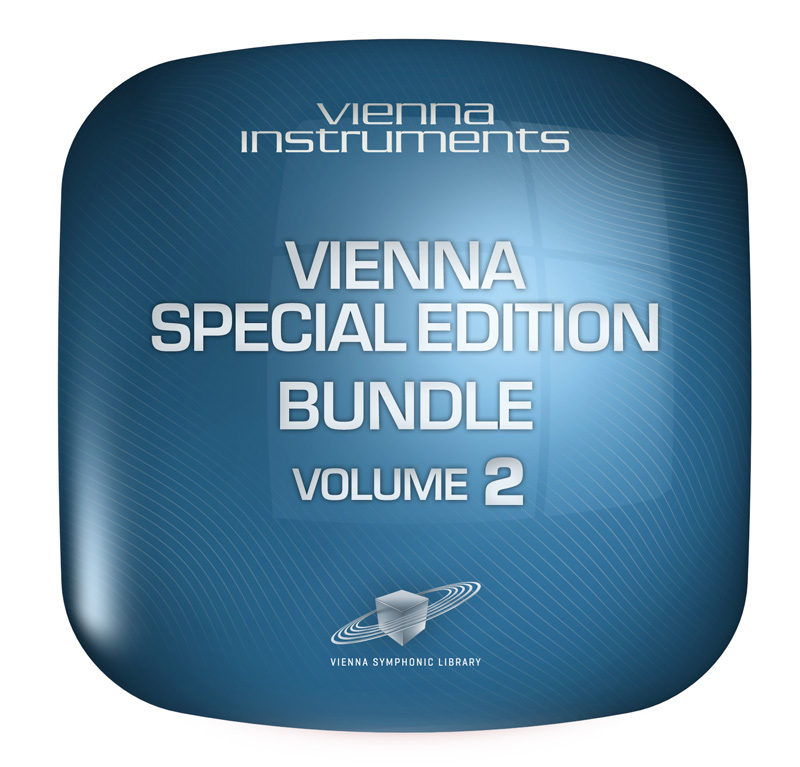 2 Bundle entitles you to download the free Vienna Instruments software player as well as the Vienna Ensemble mixing and host software. The Special Edition Volume 2 – Extended Orchestra contains 35 additional instruments that enhance the symphonic variety of the Special Edition Volume 1. As a user of the Special Edition Volume 2 PLUS – Articulation Expansion to Vol. 2 you may quickly and conveniently add articulations you find very useful to improve the variability of your orchestrations. These samples are not included in the Special Edition Volume 2, but have been specifically selected for this collection. For example, while the Chamber Strings articulations in the Special Edition Volume 2 include staccato, détaché, sustained, sforzato, tremolo, pizzicato, legato and portamento, the PLUS collection supplements these with the addition of the following articulations: Short détaché, fortepiano, snap-pizzicato, half and whole tone trills, Repetition Performances (legato & spiccato), fast repetitions (150, 170, 190 bpm), and artificial harmonics (staccato & sustain).